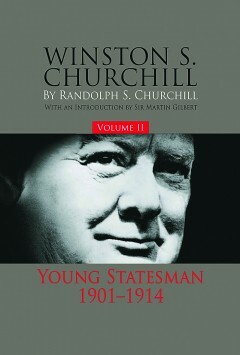 Volume II of the magisterial eight-volume biography takes Churchill’s story from his entry to Parliament in 1901 to the outbreak of war in 1914. When he took his seat in the House of Commons, he was 26 years old. An independent spirit and rebel, on his maiden speech he was cheered by the Leader of the Opposition. On May 31, 1904, three years after entering Parliament, Churchill joined the Liberals. In December 1905 he entered the government as Under-Secretary of State for the Colonies. In April 1908 he joined the Cabinet as the President of the Board of Trade. On September 12, 1908, he married Miss Clementine Hozier. Their daughter Diana was born in 1909 and their son Randolph in 1911. In the years leading up to the First World War, Churchill was at the center of British political life and change. At the Home Office he introduced substantial prison reforms and took a lead in curbing the powers of the House of Lords. At the Admiralty from 1911 he helped build the Royal Navy into a formidable fighting force. He learned to fly and founded the Royal Naval Air Service. He was active in attempts to resolve the Irish Question and to prevent civil war in Ireland. When war came, the fleet was ready. It was one of Churchill’s greatest achievements.